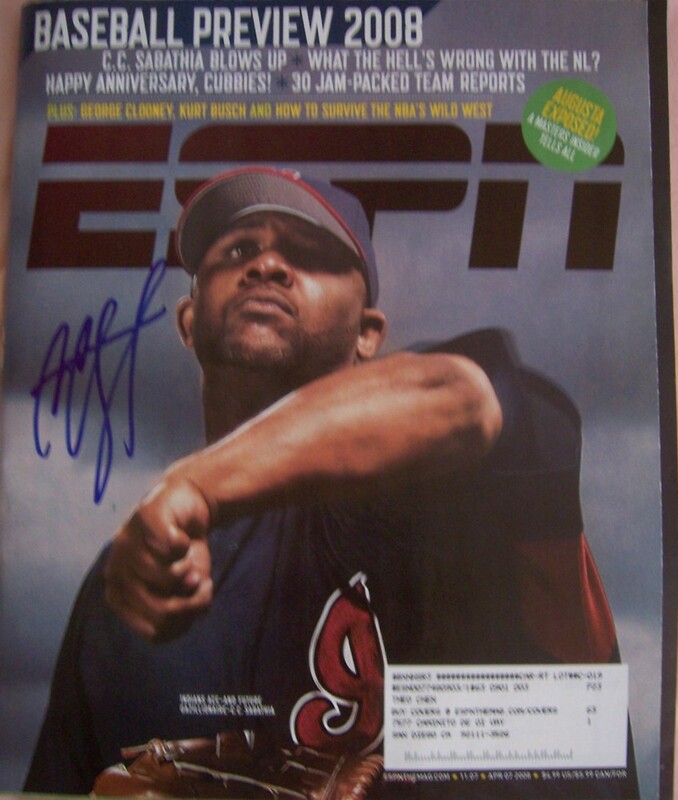 Complete 2008 ESPN The Magazine autographed by former Cleveland Indians ace pitcher CC Sabathia. ONLY ONE AVAILABLE FOR SALE. With certificate of authenticity from AutographsForSale.com.